Dr. Crump is an Assistant Professor at Medical College of Wisconsin. In his former role as a post-doctoral fellow at the UBC Centre for Health Services and Policy Research he co-authored several papers on hospital and post-acute care funding options. He is also a co-investigator on a study investigating the role of hospital funding on patient-reported outcome measures. Núria is a former post-doctoral fellow at the UBC Centre for Health Services and Policy Research. Her research at the Centre focused on developing composite indexes to evaluate hospital performance in Canada. Núria has a Bachelor and PhD in veterinary science, and has worked as an epidemiologist for the last three years. Scally is a graduate research assistant at the UBC Centre for Health Services and Policy Research, where she works on a variety of projects. She graduated from UBC with a BA in economics and statistics, and is currently working on an MSc in the UBC School of Population and Public Health. Guiping is a research analyst at the UBC Centre for Health Services and Policy Research. His primary focus is hospital funding policy research in Canada. 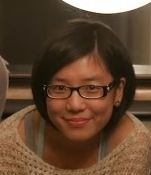 Before joining CHSPR, Guiping worked in research related to family dynamics, population aging, and heath care in China, Europe and Canada. Dawn visualizes and communicates health data at the UBC Centre for Health Services and Policy Research. She specializes in cartography, and holds a Master of Public Health degree from the UBC School of Population and Public Health. Want to study health care funding policy?